Our pricing is simply laid out in the tables below, each based upon the type of repair. We charge a base fee and then additional cost per additional ding. We class our repairs by construction type because some materials are more difficult to work with than others. SUP’s cost more because they are usually Carbon and/or Epoxy construction and require additional handling and storage. Fin repairs are common so if you need a new fin box or your fin box is cracked or damaged it is no problem because we stock all fin box systems. 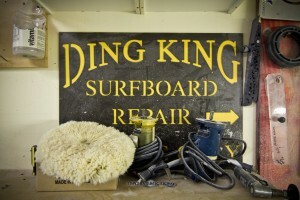 Come by the shop with your surfboard or SUP and we’ll give you a reasonable quote on the spot, no need to wait.